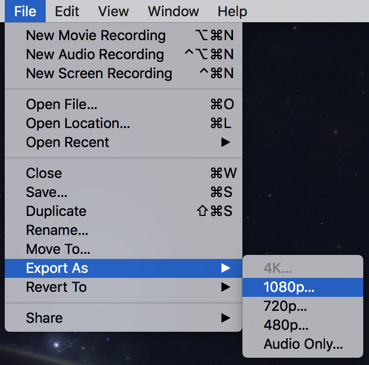 / Fix Final Cut Pro X Won’t Import MOV Files? I’ve encountered this particular Final Cut Pro X glitch too and from researching it believe that there’s some issue with the compression codec used with this particular video footage on the iPhone. I mean, you’d think Apple would make sure that its pro level video editing tool would be able to work natively with video recorded on its own devices, and that if you were going to have any import problems, it would be from weird cameras, surveillance devices, downloaded footage from the Web, etc. Nope, not this time. Fortunately, the tool to fix the problem is already on your Mac, though it’s a bit tedious to work with, especially if you have a bunch of videos to correct: QuickTime Player. 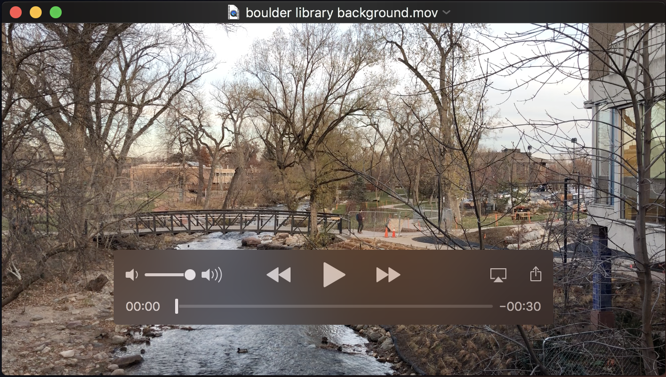 Yes, QuickTime Player can play all of the .MOV files from iPhones and iPads without an issue, and if you then export it with a different name, the resultant file has the same suffix (.MOV) but is in a format that works with Final Cut Pro X (1080p, H.264 or H.265, up to 1920 x 1080 resolution). I really don’t understand why, but… it works. See it, the fourth entry down? What’s frustrating is that there’s no information on why it’s not a file format that the video editor Final Cut Pro X can import, it’s just dead. Yeesh. Now what? It’s hard to get details on what’s going on, but certainly if QuickTime Player can read video footage it seems reasonable to expect that would also be something that the Apple program Final Cut Pro X would also be able to import it, but at least the fix is pretty straightforward and doesn’t involve non-Apple software downloads. Got an explanation to share about what changes when an incompatible MOV file from an iPhone is exported in MOV format in QTP and then is FCPX compatible? Leave it in the comments! Thanks. Well, just ran across this today because i was having the same issue and needed a fix. Downloading quicktime was an issue for some reason. It opened up the file fine. Also, when i went to save it or export it . . . . under File, there’s a “Send Movie to Final Cut Pro” option in the drop down list. Still working on the project but looks like iMovie is a good work around too! I usually use iDealshare VideoGo to convert MOV to Apple ProRes for Final Cut Pro. 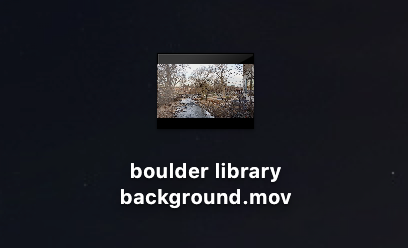 What if I can’t even open the file in QuickTime, what do you reccommend doing? Hey Dave, I’m currently facing the same problem. iPhoneX shoots a H.265 file, which is not compatible on both Premiere Pro and Final Cut. I can’t open it on Quicktime either, it says file format not compatible, which is weird because one would expect synergy between apple products. I tried using VLC, and the video files play there, but how do I convert them into a format that’s editble on Final Cut? I almost download some “Free” software to do this.